Our Brand Marketing and Content units are the most creative teams in our company. 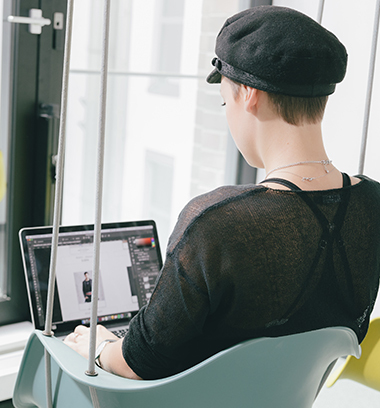 They shape the brand image and purpose by creating innovative content across all marketing channels – from social media, brand campaigns, influencer marketing, fashion stories and lookbooks to media solutions as well as other content strategies. They are crazy about finding new innovative ideas for making ABOUT YOU the most personalized and inspiring fashion platform in Europe. Our Media Solutions team is responsible for the monetization of ABOUT YOU’s audience touch points. More precisely, from the unique users on our website to the visitors of our events. They develop and manage marketing campaigns for external fashion and non-fashion brands on our diverse ABOUT YOU own-channels. In order to integrate these brands into our ABOUT YOU content, they establish native advertising concepts. 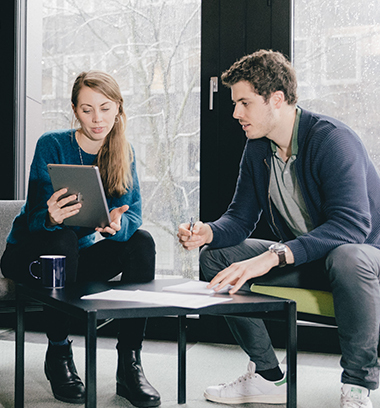 To ensure an authentic customer experience, the Media Solutions team builds up long-term, strategic sales cooperations with external partners that fits to our platform. The Brand & Advertising team is responsible for the creation, production and implementation of our latest ABOUT YOU campaigns such TV spots, Out-of-Home campaigns, Facebook viral campaigns and marketing stunts. They strive for developing creative ideas and new ways for marketing campaigns to stimulate potential customers to identify themselves with ABOUT YOU and its brand purpose so that ultimately, they become loyal followers of our brand. The ABOUT YOU Content team is responsible for the entire visual content in our online shops, our app, on social media and on offline events. 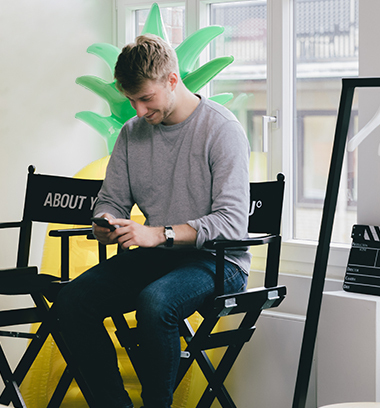 This includes creating innovative fashion stories, shooting with models, influencers and idols such as Stephanie Giesinger, Lena Gercke and Adrien Brody, organizing the ABOUT YOU Awards and developing entirely new TV formats. 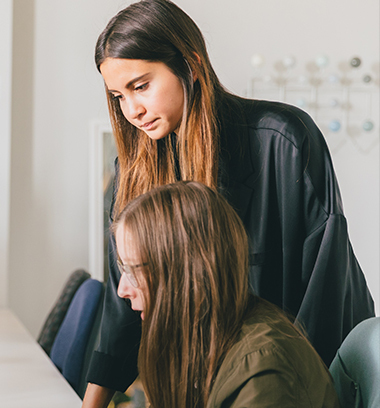 Additionally, the Social Media and Influencer Marketing units are part of our Content team, so we can easily connect fashion topics and extend the journey of each story. Instagram, Snapchat, Facebook, Twitter, YouTube, Pinterest and Google+ – all our social media channels are filled with creative content by our own Social Media team. Communicating with our customers on these digital channels and keeping our fashion community up-to-date on the latest trends, offers and fashion insights is our daily business. As pioneers in influencer marketing, we always try to stay ahead of the curve. 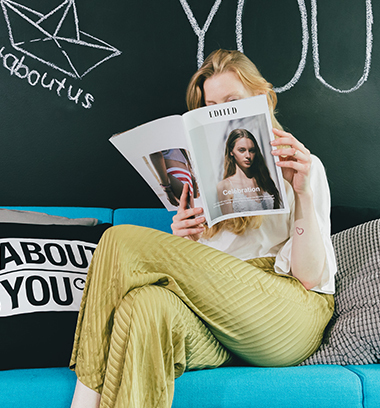 At ABOUT YOU, Influencers and Idols are more than testimonials inside a marketing channel: We work very closely together with them to create a 360° World around each influencer. Whether it’s Lena Gercke’s Xmas Party with her family and close friends, Idol capsule collections shot in Bali or Iceland, a shooting at a yoga retreat with Cathy Hummels or setting up fashion hauls for all those followers out there – our Influencer Marketing team works relentlessly to bring the world of influencers always closer to our fans and customers. Founded in 2017 as the biggest influencer awards show in Germany, the ABOUT YOU Awards have already become an industry standard, providing a platform for the superstars of the digital generation. 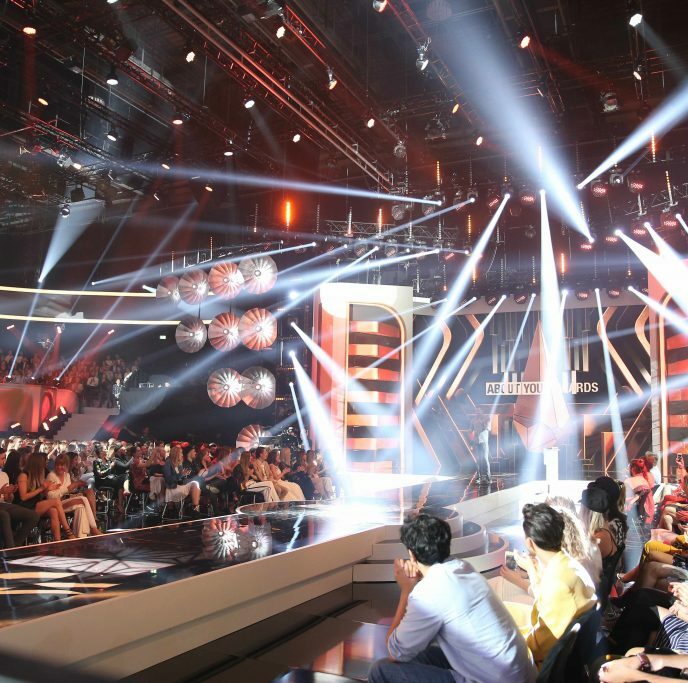 In its second year, the Awards premiered on TV and more than 1.500 influencers, social media stars and international industry insiders attended the Event, TV-Show and Party in the famous Bavaria Studios in Munich. The unprecedented reach of more than 1 Billion media contacts underline the relevance and desire for this unique format.